Generic Iressa (Gefitinib capsules) is a tyrosine kinase inhibitor used for the first-line treatment of patients with metastatic non-small cell lung cancer (NSCLC) whose tumors have epidermal growth factor receptor (EGFR) exon 19 deletions or exon 21 (L858R) substitution mutations. Gefigold capsules work by stopping cancer cells from growing and multiplying. 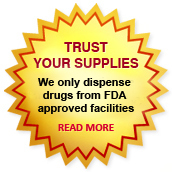 Gefigold capsules are manufactured by Khandelwal Laboratories Pvt.Ltd. in the strengths of 250 mg.
We supply original Gefigold capsules manufactured by Khandelwal Laboratories Pvt.Ltd.. The active ingredient present in Gefigold capsules is Gefitinib. Each Gefigold capsule contains 250 mg of Gefitinib. This medicine is used in the treatment of non-small cell lung cancer. It is a cancer chemotherapy medication. It interferes with the growth of cancer cells and slows their growth and spread in the body. The recommended dose of Gefitinib capsules (Generic Iressa) is 250 mg orally once daily with or without food until disease progression or unacceptable toxicity. Do not take a missed dose within 12 hours of the next dose. Take each dose of Gefitinib capsules with a full glass of water. It can be taken with or without food. Generic Iressa capsules should only be administered under the supervision of a qualified healthcare provider experienced in the use of cancer chemotherapeutic agents. Your doctor will determine the correct amount and frequency of treatment with this medicine depending upon the type of cancer being treated and other factors. Talk to your doctor if you have any questions or concerns regarding the treatment schedule. It is important to take regularly to get the most benefit. Generic Iressa (Gefigold capsules) are contraindicated in patients with a hypersensitivity to Gefitinib or any inactive ingredient present in Gefigold capsules. The most common Gefitinib side effects, reported in more than 20% of the patients and greater than placebo were skin reactions and diarrhea. Other side effects have also been reported. Discuss with your doctor any side effect that occurs during treatment with this medicine. If an overdose is suspected, seek emergency medical attention or contact your healthcare provider immediately. You may not be able to take this medicine, or you may require a dosage adjustment or special monitoring if you have any of the conditions listed above. There are no restrictions on food, beverages, or activity during treatment with this medicine unless otherwise directed by your doctor. Gefitinib has been classified by the US FDA as Pregnancy category D. Based on its mechanism of action along with known animal data, it is concluded that Gefitinib Capsules can cause fetal harm when administered to a pregnant woman. In animal reproductive studies, oral administration of Gefitinib from organogenesis through weaning resulted in fetotoxicity and neonatal death at doses below the recommended human dose. It is not known whether Gefitinib is excreted in human milk. Animal studies show that Gefitinib and its metabolites are present in rat milk at a concentration higher than those in maternal plasma. Due to the fact that the potential for serious adverse reactions in nursing infants from Gefitinib Capsules , women should be advised to discontinue breast-feeding during treatment with Generic Iressa. You can buy Generic Iressa capsules online from Clear Sky Pharmacy at a cheap price. Gefitinib Capsules (Gefigold) 250 mg capsules, manufactured by Khandelwal Laboratories Pvt.Ltd., India are supplied in a bottle of 30 capsules. Gefitinib 250 mg capsules cost only $6.99 per unit when you place an order for 90 capsules.